Pretty and fashionable Abuja—Nigeria’s Federal Capital Territory based International business woman, Princess Bunmi Jegede aka Honey Bee is bereaved. 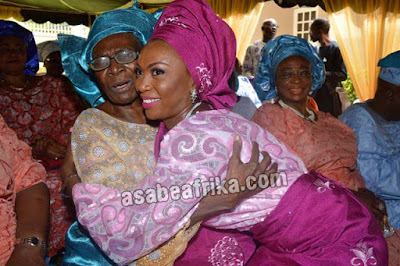 The Ilesa-Osun State—South Western Nigeria born International business woman lost her mother, Mama Juliana Adunola Jegede in the early hours of Friday June 16, 2017. Mama Juliana Adunola Jegede was 91 years. 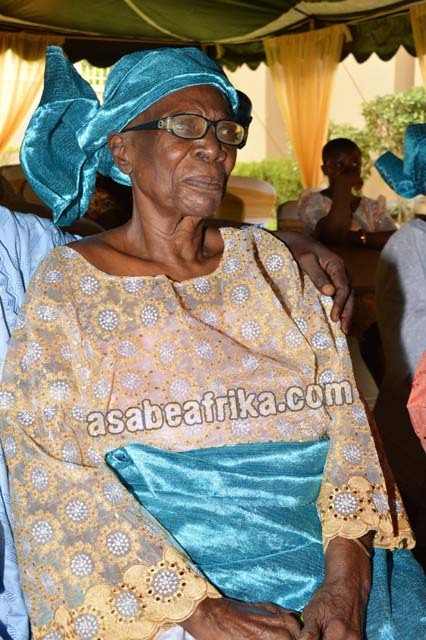 Late Mama Juliana Adunola Jegede the matriarch of the Jegede dynasty of Oke-Ana, Iwaraja Osun State was born some 91 years ago to the famous Olowookere Olorun Lon S’omo Ajiboye family of Oke-Ana, Iwaraja in Osun State-South Western Nigeria. Her father, a cocoa produce merchant was famously known for his wealth and polygamy. 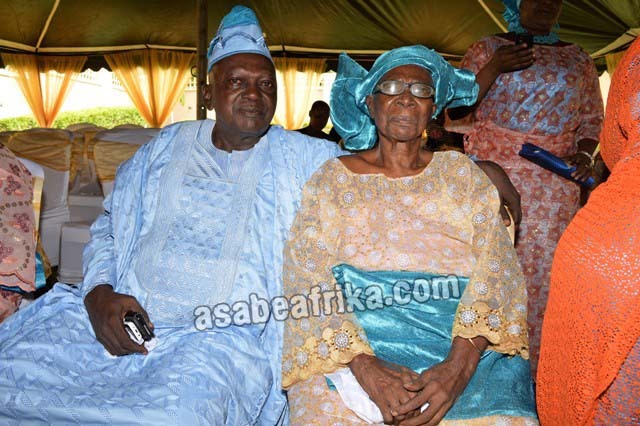 Known as Baba Olowookere Olorun Lon S’omo Ajiboye, Baba was said to be married to 36 wives and raised 104 children. 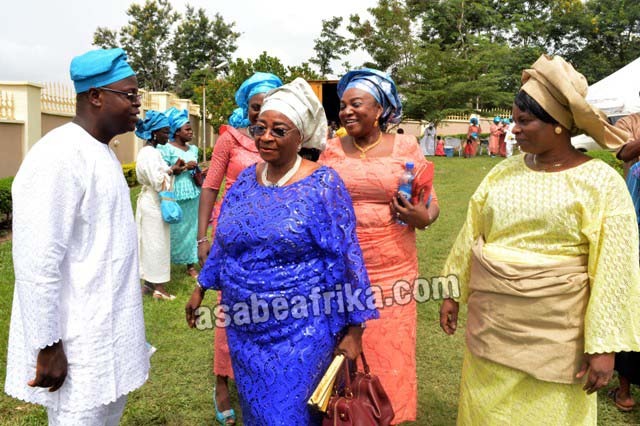 Mama’s mum, late Mama Wuraola Ajiboye was famous for her Adire fabrics which are said to be original, sold across Ilesa and other towns in the 40s, 50s and 60s. It is alleged that her grand daughter, Princess Bunmi Jegede took after Mama Wuraola in the area of fabric merchandising. However, Princess Jegede who owns Honey Bee fabrics Ltd, Abuja deals solely in foreign lace from Austria, Switzerland and Italy. Late Mama Juliana Adunola was married to late Reverend Samuel Ojo Jegede and they both raised 6kids (2men and four women). Princess Bunmi Jegede is their first issue. Mama was said to sow a special love for her husband, Pa Samuel Ojo Jegede an astute Anglican Church Bishop in his life time; and to show how true the love is, family sources claimed that Mama died exactly ten years after her clergy husband passed away and on same date and day as well. 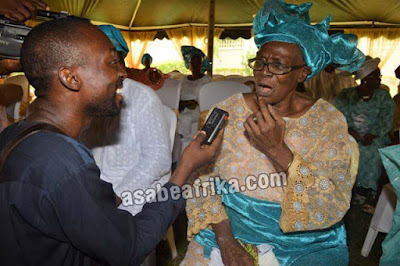 Right now, sources close to the Iwaraja family house of the Jegede told Asabeafrika this morning that Mama’s funeral is likely to take place in the second week of August as friends, family and well-wishers are already calling in to pay condolence to the family. 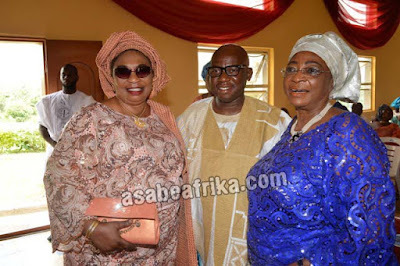 A former Minister of Defence and a former Nigerian Head of State are said to be few personalities who have called in to pay their condolence to Princess Bunmi Jegede and her sister, Mrs. Omolara Adelekan, CEO, Larry Heights Fashion House, Lagos over the demise of their great mum. We at Asabeafrika mourn with the Jegedes as Mama was a very kind and interesting personality to all of us in her life time. Wecelebrate her good life and legacy. May her Gentle soul rest in perfect peace. Amin.